OK, you are now a confident leader. Comfortably demonstrating the skill, character and emotional IQ required for successfully leading your team. 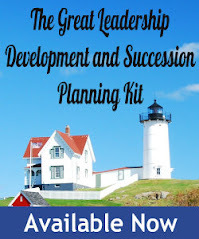 Keenly aware that while your title makes you manager, only your team makes you leader. Your people are challenged, delivering, growing and fulfilled. But, what about your board? Leading a board is so very different from leading your organization. For one thing, your directors are peers, or even better, mentors, and often your bosses. They have different needs, desires and ambitions. Your status with them is less about title and more about performance and confidence. It’s a tough audience. What do you do? First understand what makes a good board. Boards are deliberative bodies, not confederations of individual. You need them to operate as a great team, not functionaries. Operational boards are more valuable than governance boards. Governance is for governments, not dynamic enterprises. You are looking for people who can help you solve problems and anticipate issues. To help you develop. People who can train their experience on you and your business. But if you treat them like your judges and confessors, they will become your judges and confessors. Instead, put them to work – for you. Small boards are better than big boards. You want a collegial team around you that is motivated to participate and contribute, not content to sit back and listen to your canned presentations. Big boards regress to the mean. You don’t want average, you want exceptional. And diverse boards are best. Too many business leaders build boards that resemble themselves. They may be easier to manage, but a lot less effective. Harvard Business School Professor, Paul Gompers found that among venture capitalists that shared work history the company results decreased by 17%, 19% if they shared an alma mater, and 20% if they shared ethnic backgrounds. If you have taken venture capital you probably have a few of these on your board. Adding diverse directors can be challenging for a leader because of the ensuing creative friction. While differing genders, race, ethnicity, national origins, socio-economics, age, etc. can provide you with a more well-rounded perspective, it also means actively leading respectful debates. You want constructive disagreement. In fact, too many unanimous decisions may mean your board is disempowered, unengaged or simply not stepping up. Because outside investment usually comes with board participation, you may not have the diversity you need. Use your independent board selections to add diversity. Choose directors who bring valuable experience, unique perspectives and team skills. If you choose only “Indian Chiefs, you may well find the egos are more trouble than they are worth. And enlist some assistance. Lead investors, the investors who price a round and set the terms, can help manage the syndicate of shareholders. Partner with them to make sure your stakeholders are informed and aligned. Also, you should appoint a lead director. On many boards the CEO is also the Chairperson. But you are missing an opportunity to add strength to your leadership. A lead director can make your job much easier because they can run point on sensitive issues, poll the board for concerns, help build consensus, and give you much needed feedback and guidance. The lead director chairs the closed session at the end of the board meetings where the directors can talk amongst themselves and share their impressions of you. The lead director is the best translator of this information to keep you and the board on the same page. Expose your team to your board so they can build rapport. It’s a motivator for your team, a chance for them to hear directly from the board and for the board to evaluate them, and a call to action for addressing the key issues. Your board should spend meaningful time with your team outside of the boardroom so they develop an appreciation of the tough tradeoffs you are making. Board meetings should not be dog and pony presentations. If you have built the right board, they will want to dig in on meaty issues, not sleep through the recital of the slides. Don’t use precious board time to rehash reports and financial performance that can be shared in advance. Provide key performance indicators regarding your critical initiatives beforehand so you can focus on the deviations that matter. Most of all, reserve substantial time for group discussions about the most important matters facing your business. The things that keep you up at night. Encourage them to challenge you and each other so that you get the full benefit of your brain trust. Then make the best-informed decision you can, regardless of unanimity. Never oversell your point of view; encourage debate. Remember, your directors sell and are sold to every day, they will spot a hard sell a mile away. You may lose precious credibility as a consequence. To focus board talent on important issues, organize your board into committees, like audit and compensation, strategy and compliance. This permits you to lead qualified subgroups deeper into critical issues. It is best if the committees report out to the entire board rather than making decisions themselves so that you can keep the entire board in lock stop. Remember, you are the leader not just of your team but of your board as well. The skills required are slightly different, but your character and integrity remain critical. Don’t undermine yourself with a poorly functioning board. A good board can challenge you to greatness, but a bad board can kill a good business. 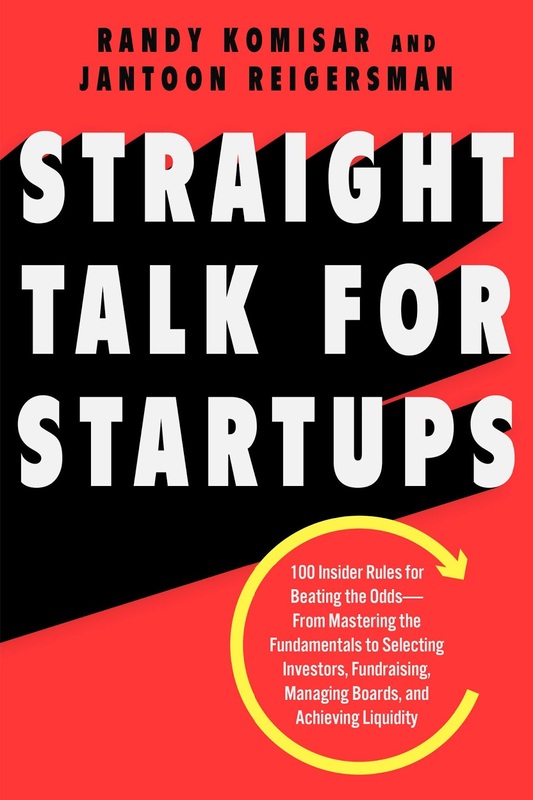 In our book, Straight Talk for Startups, 100 Insider Rules for Beating the Odds, we present the best practices not just for building and managing boards but also for addressing the fundamentals, choosing investors, fund raising, and achieving liquidity. As Tony Fadell, founder/CEO of Nest and the co-inventor of the iPod and iPhone says, “Straight Talk is filled with real, raw and fact-based ‘rules of the road’ that you need to know when diving into our ultra-competitive startup world. A must-read and a re-read!” Enjoy. Copyright © 2018 Randy Komisar, All rights reserved. Randy Komisar is the co-author of Straight Talk for Startups (HarperBusiness; June 2018). He is a venture capitalist with decades of experience with startups. Jantoon Reigersman is the co-author of Straight Talk for Startups (HarperBusiness; June 2018). He’s a seasoned financial operator with extensive experience in startups and growth companies. He serves as Chief Financial Officer of publicly traded Leaf Group (NYSE: LFGR), a diversified consumer internet company. For more information, please visit http://straighttalkforstartups.com. What's Your Leadership B Side?